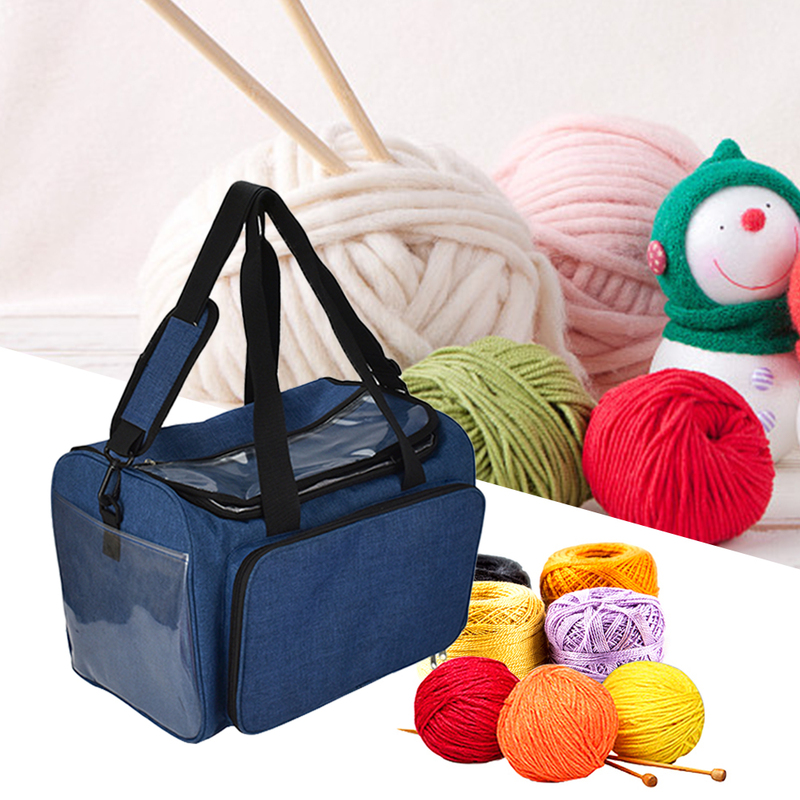 1、SPACIOUS INTERIOR WITH DIVIDER: is great to keep skeins of yarn separated and prevent tearing, tangling or fraying. The inside divisions go all the way to the bottom to prevent small items from running around. 2、SUPERIOR QUALITY: Crafted from Strong nylon material with clear PVC top, lightweight and durable. 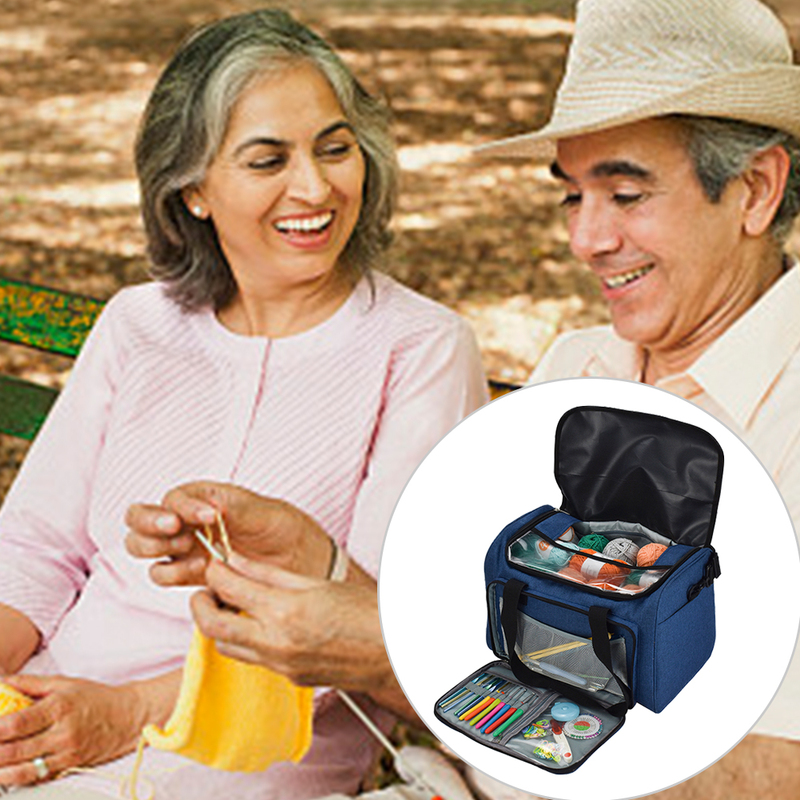 The top two-way zipper and Magnet snaps design to keep your knitting supplies and projects away from your beloved pets. 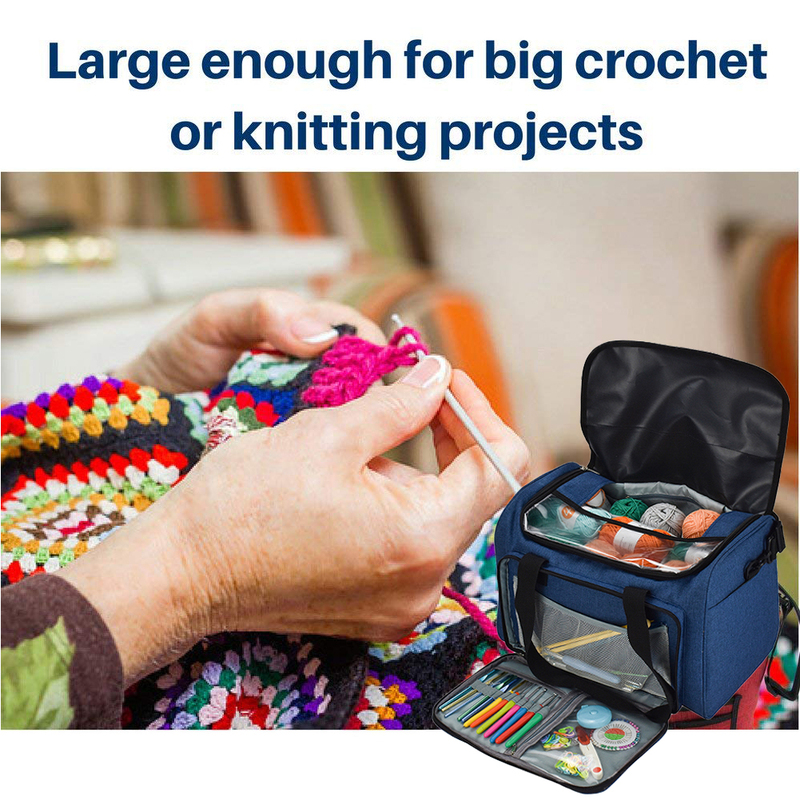 Ideal for crocheting- on-the-go. 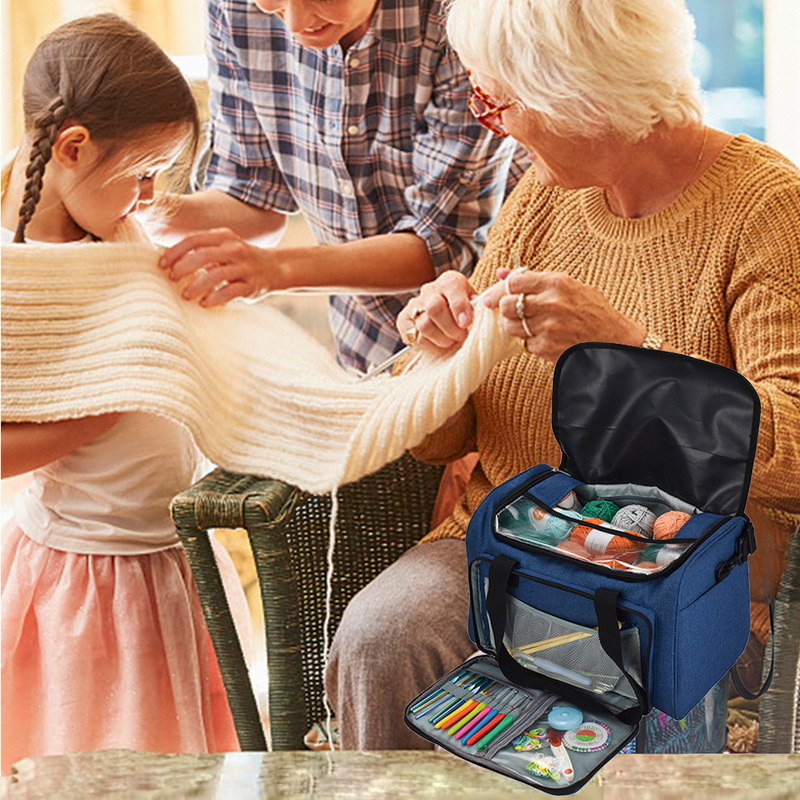 3、SMART DESIGN: Half-open design on the top allows you to put your unfinished projects into the bag without need to cut away the yarn. Front zipper pouch with elastic loops and pocket for crochet hooks and accessories. 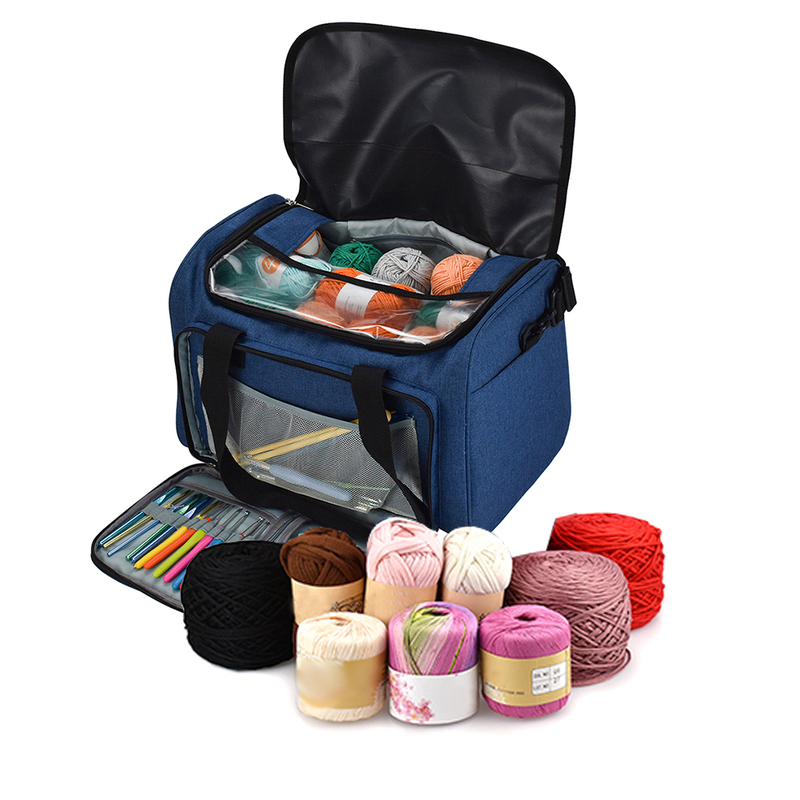 Side and back pouches to store ultimate guide, knitting supplies, and more. 4、EASY TO CARRY: The handle and removable adjustable shoulder strap give you option to carry it by hand or on the arm, wear it over the shoulder or across the body like a messenger. 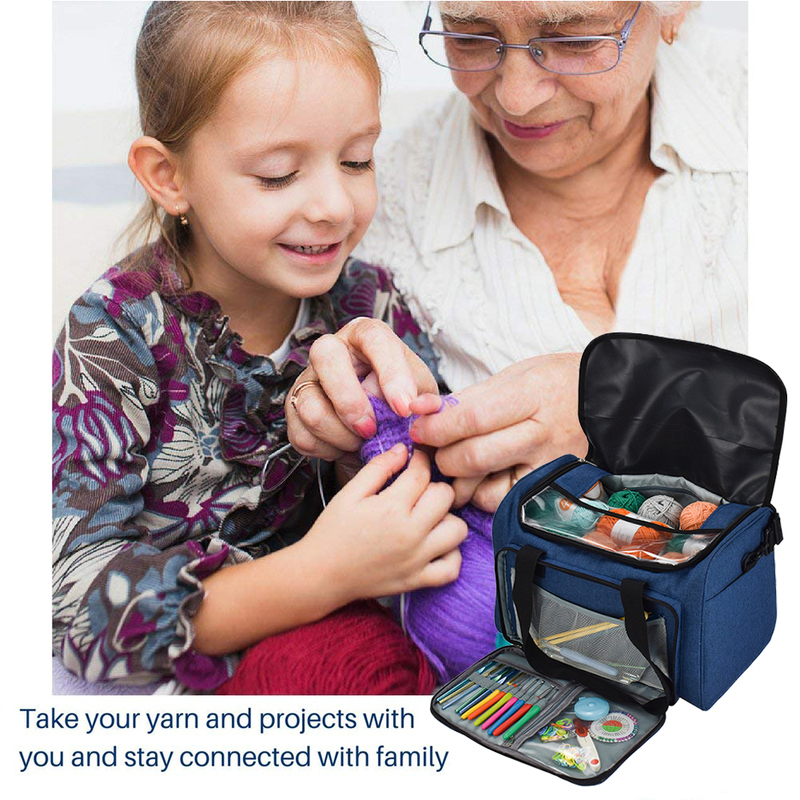 A must-have gift for avid knitter, crochet beginner, knitting enthusiasts. 5、Needles, hooks, scissors, phone, patterns etc. Tools are easy to find and store and you\'ll have everything on hand! 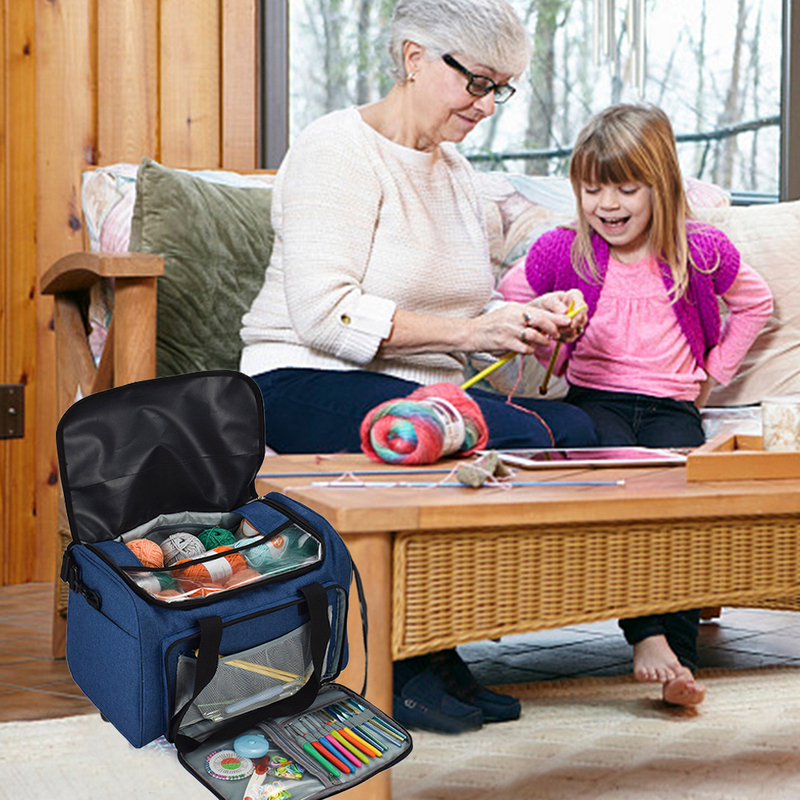 SPACIOUS INTERIOR WITH DIVIDER: is great to keep skeins of yarn separated and prevent tearing, tangling or fraying. The inside divisions go all the way to the bottom to prevent small items from running around. 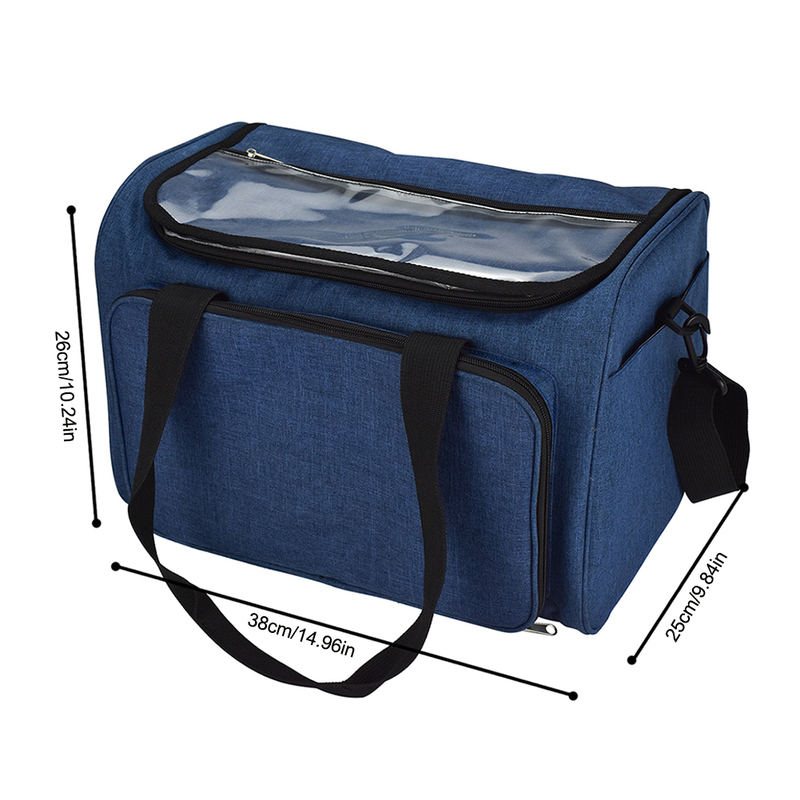 SUPERIOR QUALITY: Crafted from Strong nylon material with clear PVC top, lightweight and durable. 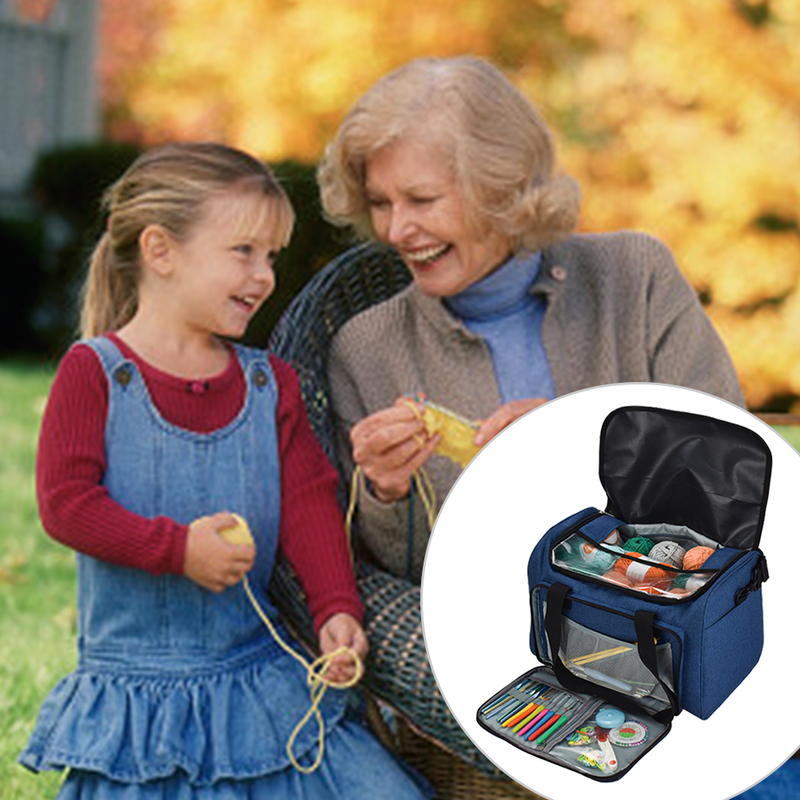 The top two-way zipper and Magnet snaps design to keep your knitting supplies and projects away from your beloved pets. 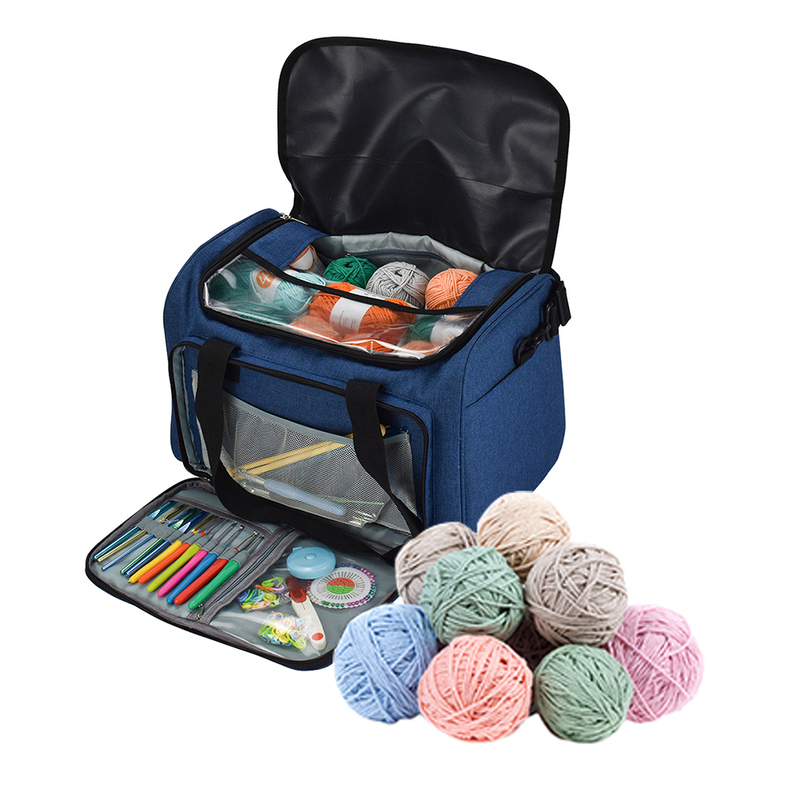 Ideal for crocheting- on-the-go. Needles, hooks, scissors, phone, patterns etc. Tools are easy to find and store and you\'ll have everything on hand!